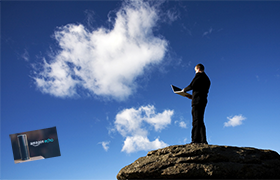 Cloud computing is entering a new phase. Overall, it is continuing to grow rapidly, but the growth is colored by innovative cloud styles and new terminology. Outsourcing options are being considered for many IT applications previously thought to be too mission-critical for the cloud. CIOs are looking at combinations of managed services, hosted private “cloud”, Infrastructure as a Service, and hybrids of all the above. To better understand these trends, we’re conducting a survey, the results of which we’ll share with all of you next month. Let us know where you stand on moving your IT operations to the cloud and to managed services – and you can be entered to win an Amazon Echo. Please take a minute to complete our Cloud Services Survey now. Watch for the results here next month.